Good morning Lemmings and don’t panic: The sudden return of Questionable Time does not herald a sudden return of Question Time itself so your Thursday nights are still safe and unmolested from current affairs strife. No, the reason why I’m breaking the summer truce is because I have a modest proposition for you all – I’m looking for guest writers. Yeah, it’s a bit of a no-brainer but it’s a point worth making: You sort of need to be good at writing to do this. Now, I’m not overly bothered with the style of writing just providing that it’s a) funny b) insightful and c) not nasty. “Hold on a second!” I hear you cry, “You’ve been thoroughly awful to some of the panelists in the past!” and to a certain extent that’s true but only when they’ve acted like proper divs on the show and I do draw the line at ‘nasty’. ‘Petty’, ‘cantankerous’ and ‘cranky’ are all fine in my book but ‘nasty’ is not. I’m also not overly concerned by people’s ability in the spelling/grammar department (otherwise I would have had to fire myself years ago) but the ability to be able to write engagingly and pick up on the non-obvious is really important. The one thing I really take pride in when it comes to Questionable Time is that I try very hard to make it fair. I do this because Questionable Time is not really about the politics of QT – it’s about the spectacle and that means that you can’t just go to town on people because they’re on the ‘wrong’ team. Instead, I’m looking for people who can set aside their own beliefs and focus on what’s presented in front of them. That’s not to say that you can’t drag up things about panelists’ past or add a tint of where you’re coming from but it must be within the context of the actual episode. Thanks to the internet’s terrifying ability to shrink our collective attention spans each instalment of Questionable Time has a very short half-life and getting a post out of the door in good time is half the battle. Essentially I’m look for people who can knock around 1000 words together within 24 hours of transmission (ideally I’m looking more at 12-18 hours but 24 is the hard ceiling). Any longer than that and no-one’s going to read it. …or even better, the ability to create stupid pshops. 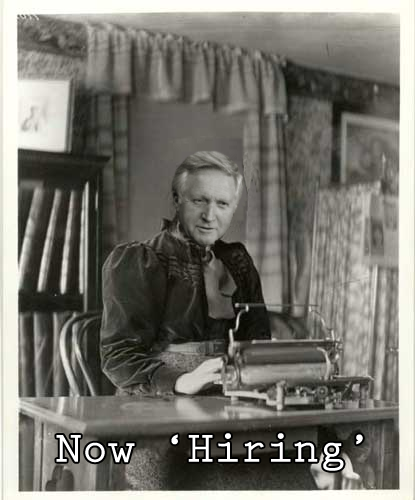 In fact, should you not fancy writing but are into doing something dumb with David Dimbleby’s face then please feel free to submit ideas or finished works to me. Anyway, not being awash with pixel twisting abilities is far from a deal breaker but a few ideas wouldn’t go amiss. As some of you are no doubt aware I have a very tenuous grasp on the politics of Scotland/NI/Wales and as a result these tend to be the shows that I don’t cover. Should you know a thing or to about political shenanigans in the devolved assemblies then you’re already ahead of the game. Questionable Time tends to work on two levels: One is to try to make sense of the episode while the other is to get weird with it. The second is the harder of the two and it requires a certain wonkiness of mind for it to be done right. Don’t worry though, I’m not looking for medical evidence to prove just how unhinged you are but a lack of fear when it comes to running with oddness will stand you in good stead. Questionable Time is by no means massive but it does have a loyal following who come back week in, week out. That means you’ll instantly have access to a few hundred people who will definitely read your work. It doesn’t sound like much but if you ever tried shouting into the gaping maw of the internet you’ll know just how hard it is to build a reliable following. Questionable Time already has that, thus saving you several years of tireless XP-grinding. I’ve done this for a long time so I’ve got a pretty good idea of what works and what doesn’t, which corners can be cut and where all the bodies are buried. Being the kindly soul that I am I will do my very best to impart as much useful knowledge as I can. I also promise to be gentle. Questionable Time has never made a penny and in fact, it costs me a modest sum each year just to keep everything running. As a result I can’t pay anyone anything but don’t worry – just see this as an instructive lesson in the Brave New World of Online Journalism where no-one get’s paid and everything’s free. If I’ve still got any left. So that’s what I have to offer. Nothing but blood, sweat and a vague promise of stickers. However, should you (or someone you know) feel that your life would be enhanced immeasurably by giving this ‘satire’ lark a go, please drop me a line either by email or Twitter. Right, that’s me done truce breaking. Enjoy the rest of your summer.